Give the gift of travel with us! Searching for the perfect gift for that special someone? Stuck trying to buy something for that friend who has everything? 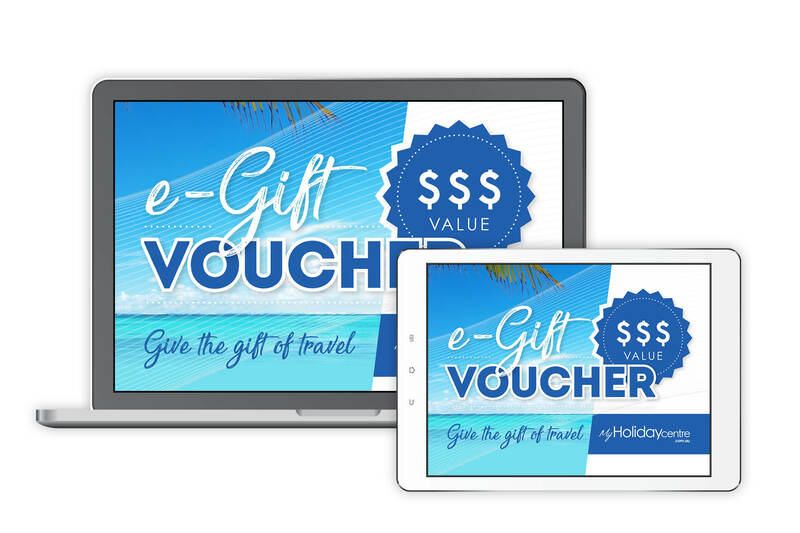 Give the gift of travel with a My Maldives e-Gift Voucher and know that you’ll always get it right! Our e-Gift Vouchers are the perfect solution for every giving need (have you ever seen a sad person on a holiday?). They can be used on all of our incredible My Maldives packages and, available in multiples of $50, can be tailored to suit all budgets! Whether you know someone who’s keen to add another stamp to their passport or someone who just really deserves a break, you can make it happen for them with us! All My Maldives e-Gift Vouchers are easy to buy and use. Simply fill out the form on this page, select your Voucher Amount, purchase and it will be emailed to you! From there, it’s just one call to redeem against any valid My Maldives deal—no queues, no hours wasted in shopping centre carparks, just a few clicks and you’re done! To find out more about our e-Gift Vouchers, contact our My Maldives Experts now. If you’re ready to buy, happy giving and safe travels! The above details are correct and I agree to the Terms and Conditions. ^Please note payments made by credit card will incur a surcharge.